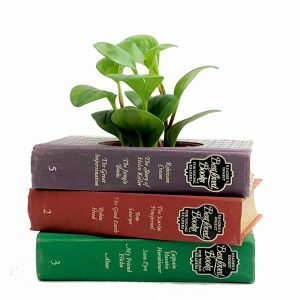 Enjoy a trip down memory lane with this bright and cheerful Nancy Drew stacked book planter. 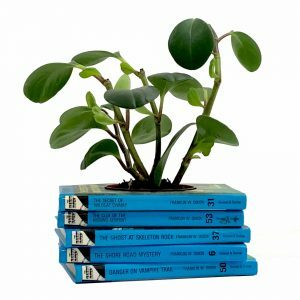 This Nancy Drew book planter is sure to please fans of all ages. 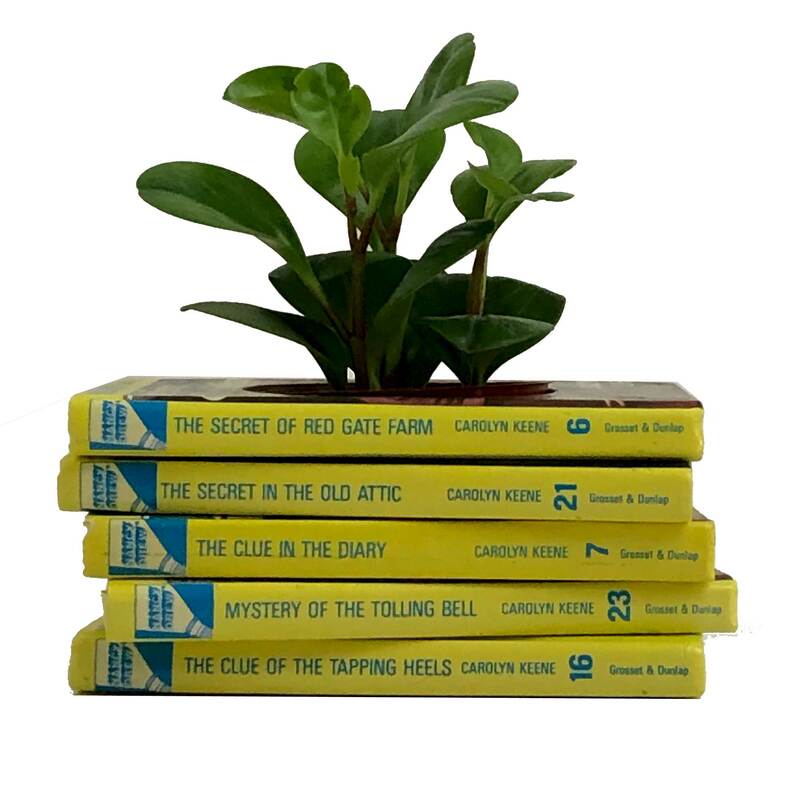 In bright yellow and brilliant blue this Nancy Drew book planter is sure to please fans of Carolyn Keene books. 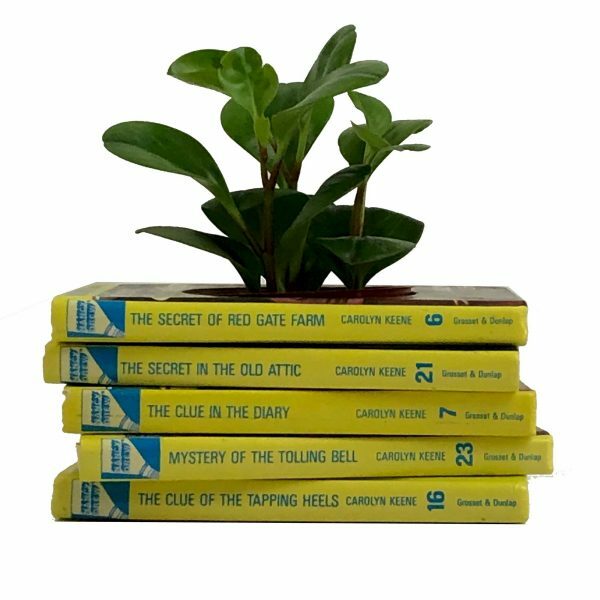 Whether you read the books years ago or just discovered these wonderful teen mysteries, this book planter will be a great addition to your Nancy Drew collection. 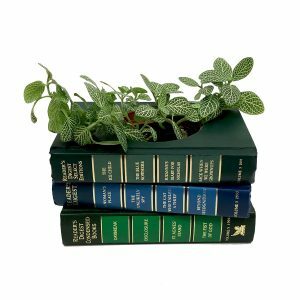 This charming planter features five Nancy Drew book titles and is ready for your 4″ houseplant . 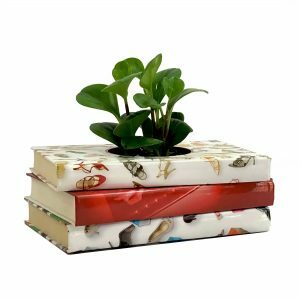 Book planters look wonderful in any room, from book themed room decor in a child’s room to family room to library bookshelf. Looking for a wonderful piece made from your favorite books? Click here to get more info on custom book themed room decor. Features five Nancy Drew mysteries by Carolyn Keene. Measures approximately 8″ x 6” x 3-3/4” including the provided plastic pot.